Pink Paislee “Bella Rouge” giveaway!!! Hello and happy Friday!!! Whether you are looking out at cloudy snowy skies, a rainy day or gorgeous sunlight, I'm so glad you stopped by! Yesterday Jen Gallacher joined us with a fantastic Card Cafe video featuring the beautiful Bella Rouge collection from Pink Paislee. It is Friday and you know we love to feature those companies that are so supportive of all things SCT so guess what we have for you today? Why yes, it's the Bella Rouge collection! "It’s time to SHINE! The new Bella Rouge collection from Pink Paislee let’s you embrace your inner beauty while capturing the highlights of your everyday moments. A little bit shabby and a lot of glam will make any girl smile from ear to ear! This beautiful collection includes 12 double-sided patterned papers, two convenient paper pads and lots of glamourous and gorgeous accessories. Get creative with stickers, ephemera, metal charms and even a new embossing folder that coordinates perfectly with each pattern." Would you love an opportunity to win this collection? (ooooh, that's a lot of nodding heads!) 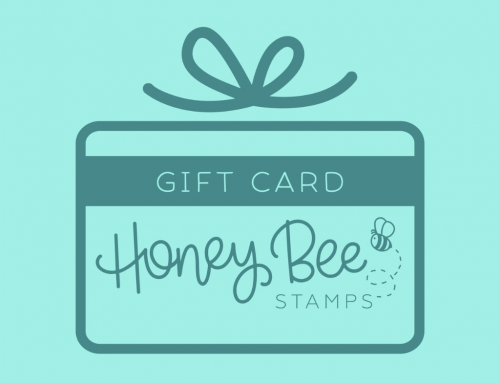 Just be sure to leave a comment below by February 12th for the chance to win! Good luck! Let's also get to some winners!!! Thank you so much ladies! Please send your mailing information to catherine@scrapbookandcards.com and put "blog winner" in your reference line! beautiful collection – love the colors and the patterns. Love the colour combos of pink, yellows with black. Would love to have chance to play with these to remind myself that spring is indeed coming!!! Love the colors, such a beautiful collection! love the colours in these papers and especially the grey with all the hearts on it. Very nice for girly pages. Appreciate the prize package. congrats to the winners! gorgeous colllection! Love the colors, patterns and the glittery embellishments. Thanks for a chance to win. Perfect for my beautiful daughter. Thank you for a chance to win such a pretty collection. Such a great product — would be great to win it. What a pretty collection! Thanks for the chance to win it. What a wonderful and beautiful collection to win, thanks again. Those cards are just GORGEOUS and I love this line, so perfect! I love how soft and girl it is!! 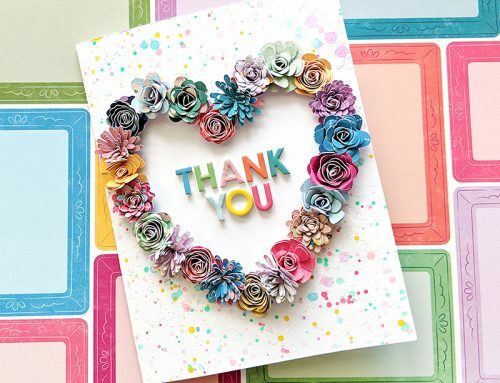 Oh, what a gorgeous collection of paper, embellishments and embossing folder from Pink Paislee. This Bella Rouge collection is beautiful and the cards that Jen made show the quality of these products. Thanks for the chance to win all this. Love how beautiful this collection is… makes me Valentine’s day and spring time all in one! Just in time for Valentines! I love the entire collection! Thanks for giving us a chance to win!! Love the pretty colors, stunning collection!!! Love the pink and grey! Thanks for a chance to win! I love this pretty, pink collection! Thanks for the chance to win it! I love the Bella Rouge collection! thanks so much for the chance to win! Thank you, I’d really love to win the new Bella Rouge collection from Pink Paislee. Love The Colors thanks for a chance to win. Love the colours – pink, grey and black. Wear those a lot to work. The colors are so yum. I would love to win this collection. This line is just so pretty and so fun! It’s fabulous! Yep, my head is nodding and my smile is making my cheeks hurt! Bella Rouge is bellisamo! Great colors and I love the mix of styles! FABULISCIOUSNESS! What a gorgeous collection! Thanks for the chance to win!! What a stunning collection! I can’t wait to have the entire line! I really love the pinks, greys, and blacks together with the pop of sunshine yellow! just so much fun! Those glitzy bows look scrumptious! Something so pretty to play with on a grey, snowy day! Wonderful colors in this collection. Love the color combination. Would be thrilled to win. Beautiful collection, love those sparkly butterflies! What a fun collection! Thanks for a chance to win it! I love the nice soft colour palette. Very pretty. Sweet cards. From the cards to the embellies to the papers, I LOVE this design and color combo. Such gorgeous colors!! PErfect for the wedding photos I need to scrap! And the 12th is my birthday — this would be the best gift. Thanks for the chance to win! I love the colors in these papers!Thanks for the chance to win it. What a great looking line! Love it!! Hello Gorgoeus is right! Love the colours! Awesome collection! Absolutely love this collection! I definitely know that if I don’t win it, I will have to buy it 🙂 Just beautiful. So pretty! Thank you for a chance to win! Oh la la. So pretty. Love the color combo and all the elements! This collection is beautiful!! I absolutely love the colours. Would love to create pretty things with it!!!! Beautiful collection – so elegant. I can see these being used in both scrapbook layouts and cards. Amazing collection! Just perfect for girls but I don’t think its too girly! Love it! Beautiful designs! Loving the colors! Thanks for a chance to win! Fabulous collection and scrumptious colors!! This collection is so pretty. I would love it and it would make my Birthday great. Love the color combinations in this collection. The colors make me think of spring. Please get here! These colors are so elegant together! Thanks for the opportunity to win! Oh I love this collection, thanks for the chance to win? I love the colors and patterns in this collection – looks like so much fun to play with!! Oh…so pretty! Would love that prize. Love the mix of gold and pink and grey and butterflies! I could find so many uses for this beautiful collection! love the collection!! thanks for the chance to win. Watched the video, loved it! Beautiful collection, want it all! Love the collection, so many projects you can do!!! Love these colors, thanks for a chance to win! I have seen the PP Bella Rouge collection featured on a number of card sites and magazines, but have not had the chance to work with it. Man would I love that! Thank You for the chance to win this great collection! Oh so pretty! I would love this!! Love Pink Paislee! The colors in this collection are beautiful! I love love love the pink/grey color combos! I have been wanting something new and frilly and fun and here it is! Love Pink Paislee! Thank you for your creativity and generosity! Thank you for the chance to win your yumminess! Fingers, eyes and toes crossed! wow this is a gorgeous collection. love it! Bella Rouge is so glam and gorgeous! Sure would love to win it!! Gorgeous collection and gorgeous samples! Fabulous! When I was 10 or so, I had an outfit that was grey & pink. I called it my disco dancing outfit. this line reminds me of it. If I can find pics of me in the outfit, it would be a great scrapbook memory!!!! Thanks S&CT! Love this collection! You are awesome!!!!! This collection reminds me of my daughter… she is always saying “Hello Gorgeous!” to her friends!! I would love to make a card for her with that saying on it!! Beautiful collection & a large one. Very generous. Love the embellishments and know I could use these colours. 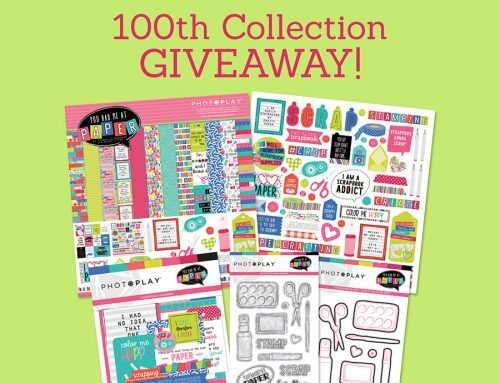 Great collection to win! Love that collection and would love to win it! Love the patterns and colors. Just in time for spring. oh my gosh, this collection is gorgeous! I NEED this one! Oooh do I love this pretty collection. This would be great for girlie cards and layouts…or pretty home decor! Thanks for the chance to win. I so love pink and grey. Fingers crossed that I win this amazing prize. Oh… Wow, can’t wait to see this entire collection! I love this!!! It would be perfect for scrapbooking my almost 10 and 11 year old girls’ pictures! Love grey & pink. Very sophisticated. Love the colors, designs,great stuff!. Awesome cards and great color choices. Thank you for the chance to win! Oh my golly! Just love all the pink and black here!!!! Love the collection and colors. The video was great and full of ideas! Love the grey, pink and yellow combo! The Bella Rouge collection is gorgeous and Jen created some beautiful cards with it! Beautiful collection – such soft and lovely colours! What a beautiful collection! I love the color combination and patterns. Absolutely gorgeous and cute, too! What a great giveaway. You spoil us with all these great giveaways. Love the colors! Thanks for the great giveaway. Pretty collection! Love all of the embellishments. Perfect for spring cards. I am totally in love with this collection!!! Thank you so much for the chance to win!!! Beautiful cards! I love the butterflies 🙂 Thanks so much for the chance to win some fantastic products! Wonderful collection! There is something in it for everyone!! Such gorgeous bright and beautiful colors! The black background on the cards make them just pop!!! Love the pink with all the neutrals! This collection is so very pretty! I love it! Congrats to the winners of the other giveaways! Ooo woww…such a beautiful creation…love the new collection…it’s gorgeous and lively?? So many goodies I can tell I would love to use! The yellows in this collection are so cheerful! Gorgeous colors in this collection, thanks for the chance! This would be an amazing prize package to win! Fabulous! I see PRETTY everywhere! Love the colors and designs!!! Love it all! Thanks for a chance to win!!! Excited! Jen’s cards are gorgeous! I can only hope to create something as pretty if I should be lucky enough to win. Thank you for the chance. Thanks for the chance to win this beautiful collection! I love the color combo and gorgeous embellishments! Butterflies, bows and hearts Love It! Beautiful collections with great colors. The pink and grey are lovely! Totally gorgeous! HOPE TO be THE lucky ONE ! Love the pops of pink, and those glittery butterflies which can double as bows when you turn them upside down!! And those flowers, what’s not to love!!! Thanks for the chance to win this gorgeoulicious pack of goodies!!! Love this beautiful collection! Thanks for the chance. “A little bit shabby and a lot of glam”, why that’s me! Thanks for the chance! This is a beautiful collection! Thank you and Pink Paislee for the chance to win it. What a fabulous collection and beautiful colors! It would be such a fun kit to get crafty with. Thanks for the chance to win. Great collection! Especially love the flowers and bows/butterflies! I think I have whiplash from nodding! Thank you for the opportunity to win. Bella Rouge is a gorgeous collection! I love the colors and the patterns and all the yummy accessories. Would love to win! Love the colors combination! Wondeful collection. Looks gorgeus. congrats to the winners!!! love the colours and prettiness of this collection, would love to win!!!! Love the colors!!! I can promise, I will give it a nice, safe home!!! What a beautiful collection! Thanks for a chance to win! A beautiful set of papers. The butterflies are the best! Love the colours ! Awesome giveaway ! Love the butterflies and all the mirrored accents! What a pretty collection! Love the black and white with the pink combo! This is such a pretty collection!!! Love the bold contrast of the black and white with the pink and yellow. Gorgeous cards, too! everything I love about Pink Paislee! Love all the embellishments in the Bella Rouge collection especially the metal charms and embossing folder! I’m so excited for this collection – after this winter, I’m ready for spring colors. Hope to win. What a fun and pretty collection!!! Thanks for the chance to win and the fun ideas. Love this collection, the colors are so pretty. Thanks for sharing and giving us this chance to win. The colors in this collection are so pretty!! Would be a really fun set to use! Thanks for the chance to win!
. The card made with this collection is beautiful! That butterfly really sets it off. The colors in the collection are so pretty. I just love pink and grey together. What a stunning collection, thanks for the chance to win! Gorgeous collection with amazing colours. So feminine and sweet! What a collection to win! OMG this collection it’s so awesome!! ??? Such a gorgeous collection. Ive got to get my hands on that! Thanks for the giveaway. Love this collection, just beautiful! Wonderful! Love the entire collection! Thanks for giving us a chance to win!! Such lovely colors. I love it. Beautiful collection! Love the pinks and grays and the touches of yellow! Beautiful new collection with the pinks and grays. The embellishments that match look amazing. Thanks to SCT and Pink Paislee for a chance to win. Lovely collection, loving the colors! Thanks for the chance to win! Such pretty colors and a collection that speaks, play with me. Beautiful! Love the addition of yellow to the pink and grey colour combo. Wonderful collection! Love Pink Paislee! This Bella Rouge collection is filled with so much sweetness. Beautiful and fun collection! Love the embellishments! What a lovely collection…thanks for the chance to win! Wow, would love a chance to win! This line is so pretty, love the cards created with it too. Love this collection and I especially love the Grey heart paper! This will be beautiful for Valentine’s day and spring!! Thanks for the chance to win!! What a fabulous collection! Thanks for the chance. I’m loving the colours, the textures, the embellishments. The Bella Rouge range is stunningly gorgeous. very fun, Great color combinations. Perfect this time of year. I love the soft colors and cute patterns in the papers. What a beautiful collection! Thanks Pink Paislee. Can’t wait to create. Oh my! I would love to win this. Thank you for the chance! Great, thanks. Also your guys captcha system doesn’t work very well, just so you know. YUMMY!!! Can you describe paper and embellies like that? Would love to win it. Love Pink Paislee and this new collection is awesome … pink and grey how stunning they look together! I would so love to win this. Jen Gallacher’s creations were amazing. These colors in this collection are just gorgeous. So many things can be created! 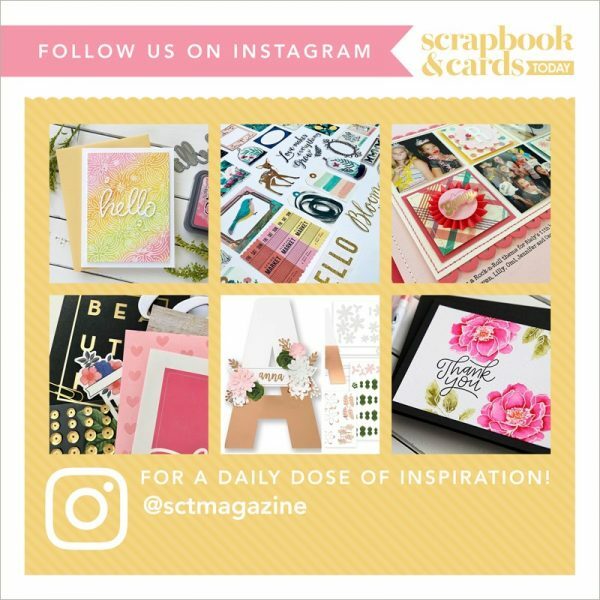 Cards, layouts, home decor! What gorgeous colors in this collection. So girly and feminine. Perfect for so many projects. Thanks for the chance to win! Just love all PP collections! Such gorgeous colors and patterns! Love the stickers, emphera and charms! Could use this for the wedding photos I need to scrap!! I love the color choices for this collection and would love to play with it too! Beautiful colours and cards! Good luck to everyone and thanks for the chance to win these gorgeous Pink Paislee products. Love the pink and gray color scheme. They will make cute and adorable cards. Would love to win this set of gorgeous items. They will make wonderful cards and craft items. This collection is so pretty! I love every single embellishment shown, ha! Thank you so much for the chance to win. 🙂 Thanks for sharing. I love this glam pink and gray with dashes of color here and there. Beautiful prize. Oh Yes, Please! Love this collection a lot!!! Crossing my finger to win this ;D THANK YOU so much! So much fun and sweetness! Gorgeous collection!! Thanks for the great giveaway! This is a really striking color palette! I love it! Some amazing cards and layouts can be made with this..the wheels are turning! Thanks for the chance to win! This collection is adorable! Thanks for the opportunity to win! Another gorgeous collection from Pink Paislee! Thank you for the chance to win it. Those are great color combinations. Thanks for giving away your products. Wow what a great giveaway! Thank you!! The colours are beautiful but I especially like the butterflies. So many card ideas! Great for a mini scrapbook for my granddaughter. Love the colours. Very inspirational for my granddaughter’s ballet layout. What a beautiful collection! The colors were just gorgeous and I could really use some brightness in dreary N.Idaho now! 🙂 Thank you for the chance to win this fantastic prize! It just keeps getting better and better!! Love it all!! Little bit shabby and a lot of glam indeed!!! What cute flowers and bows…. Love the bows and butterflies, the colours are beautiful. Jen’s cards are amazing! Thank you for a chance to win. I like the colour combinations. Good for me & my girls. Not sure if I left a post before – sorry for the duplicate if I did. This is such a beautiful and feminine collection. I absolutely love everything that Pink Paislee offers to us. Thanks so much for the opportunity to win this lovely collection! Love your magazine! Thank you Pink Paisley for the Bella Rouge giveaway! Looks like a really fun collection. Love the colors. 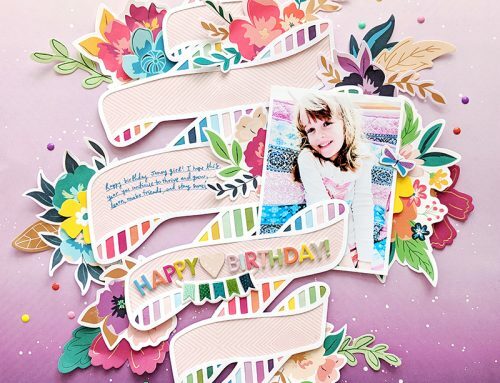 Love these beautiful colors and the card examples made with your new collection. 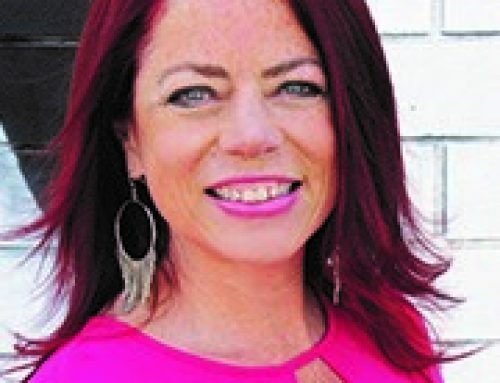 I would love to win this fabulous prize–maybe it would kick start my mojo! Beautiful collection. Thanks for the chance. Ooh gorgeous! I’d love to win this! Beautiful collection to add a bit of glam to everyday life. This is an awesome giveaway! Love the assortment. Love the colors and the “glam”. Would be just perfect for my granddaughters. Love this line of paper…so pretty. Keeping my fingers crossed! Those roses are fun! I do like pink, white, and grey together! A beautiful collection. Love the colors and patterns. Thanks for the opportunity to win this.